We are pleased to announce that WBTV-LP has joined the Pacifica Radio Network, the oldest noncommercial broadcast network in the United States, and a founding organization in the medium of community radio. 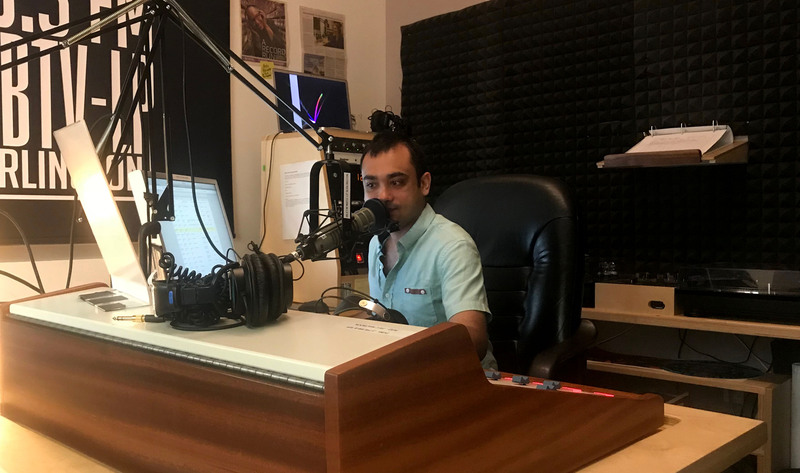 Pacifica Radio is renowned for cutting edge grassroots journalism and arts, as well as broadcasting a variety of viewpoints that are otherwise unavailable in mainstream media. WBTV-LP is the sixth Pacifica affiliate in Vermont and the first one in the Burlington market. WBTV-LP already airs Pacifica’s flagship program, Democracy Now, weekdays live at 8am, with a replay at 5pm. The station also runs WINGS (Women’s International News Service) each Saturday at 4pm. The Quiet Storm is a smooth jazz program on the Pacifica Radio Network, but the show’s creator, Skeeter Sanders, is a WBTV-LP programmer who does the show live from the studio right here in the Media Factory every Tuesday night from 8-10pm. Skeeter records the Pacifica-distributed version of his show at WGDR in Plainfield. WBTV-LP plans to begin adding more programming from the Pacifica network in the coming weeks. Despite this exciting news, WBTV-LP will continue to always prioritize locally-made shows over other content from outside of Vermont, ensuring that the station is an outlet for diverse local voices in the greater Burlington community first and foremost.